The Pharmacists’ Defence Association (PDA) has appointed 89up as it's integrated marketing and strategic agency, to work across digital, social and PR. The Pharmacists’ Defence Association (PDA) has appointed 89up as it's integrated marketing and strategic agency, to work across digital, social and PR. PDA is a not-for-profit organisation and trade union for pharmacists across all sectors of pharmacy in the UK, with over 28,000 members. 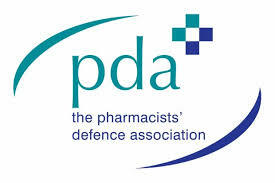 PDA is seeking to engage with policy makers, pharmacists, other healthcare professionals and wider stakeholders to provide a unified and cohesive proposal for the future of pharmaceutical services. With the National Health Service under massive pressure and the current system pushing healthcare professionals to work hard but not smart, PDA believes it is time to radically re-engineer the primary care system and maximise the role of the pharmacist. Following the successful #PacketInWalkers campaign by 38 Degrees, supported by 89up, Walkers today announced the details of their crisp packet recycling scheme. New evidence of Facebook Fake News political targeting given to Digital, Culture, Media and Sport select committee. Walkers has announced a series of crisp packet collection points across the UK, in answer to the successful #PacketInWalkers campaign by 38 Degrees, supported by 89up. Up Building, Unit 7, 103-105, Blundell Street, N7 9BN. © 2018 89up limited or its affiliated companies, all rights reserved.